If you could identify the most dominant/powerful aspect of your personality and amplify it in such a way that it could be expressed graphically, this would be one of the most important aspects of your personal brand. Many luxury real estate marketing professionals fall into the trap of trying to be all things to all people. 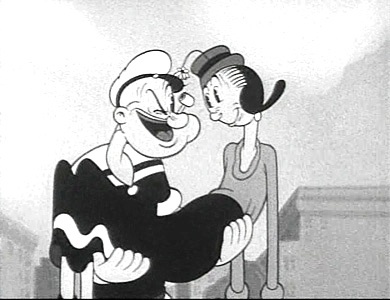 Like Popeye you have to be able to say, I Yam What I Yam and stand unwaveringly behind your brand personality statement. For example, are you? Marketing is essentially matchmaking. You are marketing to people with similar or compatible personalities. The clearer you represent your dominant personality trait, the faster you will attract the best clients for you; and, the easier you will make it for others to promote you. Trying to be all things to all people is a recipe for failure. Focusing just on your target market i.e., people like you is a sure way to success. Personality can transcend demographics. So, for those of you who are concerned about which price range to operate in you can focus on attracting compatible personality types. It cannot be the personality you would like to have, it has to be authentic. You can only do you. And that's all what I yam.